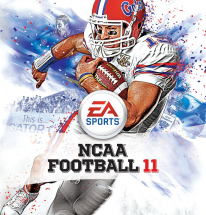 NCAA Football 11 was released on July 13, 2010. In a blog that captured the attention of the NCAA Football community, new Executive Producer Roy Harvey started the information season with an outline of the development team’s focus for NCAA Football 11: Core Experience, Authenticity, and Innovation. 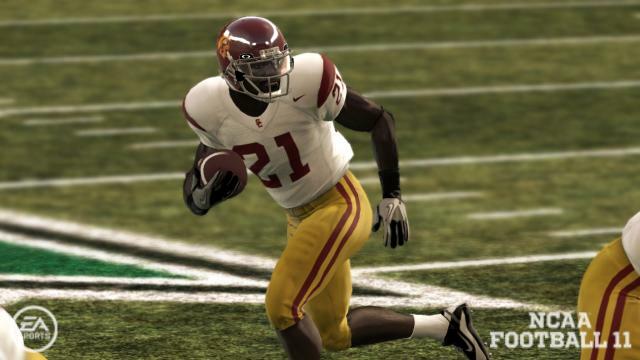 NCAA Football 11 focused on the theme ‘120 Ways to Win’ referencing new offensive play styles (Air Raid, Spread, Multiple, One Back, Triple Option, Run & Shoot, West Coast, Pistol) as well as the ability to run (or face) an aggressive, no-huddle attack. 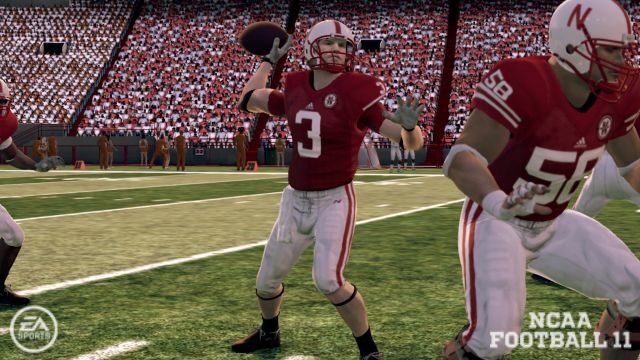 In an effort to say good-bye to NCAA Football 11, we'll be holding a site-wide tournament. Additionally, due to the outage of the PSN network at the time, this will serve in place of the tournament we had planned for our one year anniversary. Just a fun tournament, this will help us test our newly implemented tournaments & ladder system for the forum and give us a taste of something of the things we hope to do in the next year for NCAA Football 12. We have tournaments for both the PS3 and the 360. To register for the PS3 tournament or for the 360 tournament, click the link for the tournament you want to join and then below the description, you'll see a button to "Join Tournament", click it to join. The tournament will kickoff on Friday at midnight. The matchups will be drawn at random. Players are expected to play with basic fair play standards, I think most of us understand that but if you have any questions, feel free to ask. Games will be played as ranked games using 5 minute quarters, teams will be up to the two users to decide... if you both want to use powerhouses, feel free; if you both want to use cupcake teams, feel free. The NCAA Football team is reaching out to the community and wants your help in gathering team reference details for possible inclusion in the years to come. After asking for info on Cheerleader Chants several months ago, they now want your help in learning where each college football marching band sits in their home stadium, as well as bowl, conference championship and neutral site locations. Share your team - or any team you know - info in this thread with a photo reference/circling the section on a seating chart image. A written description would also work, but obviously a photo reference would be more beneficial. 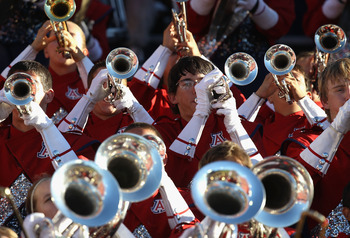 UPDATE - Band seating sections have been gathered for ALL venues in NCAA Football. Great work by the community! Feel free to double check the list and make sure the info for your favorite program is correct. How do you play NCAA Football? 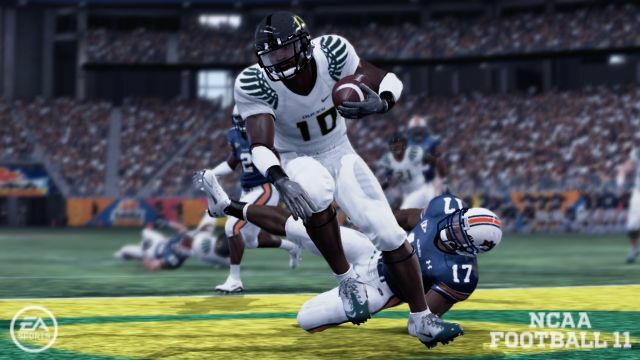 Over the past few days, the official NCAA Football 11 twitter page has asked gamers some questions on their game preferences and playing style. By themselves, the questions may seem simple but together they can give a clearer picture on how each person plays the game differently. 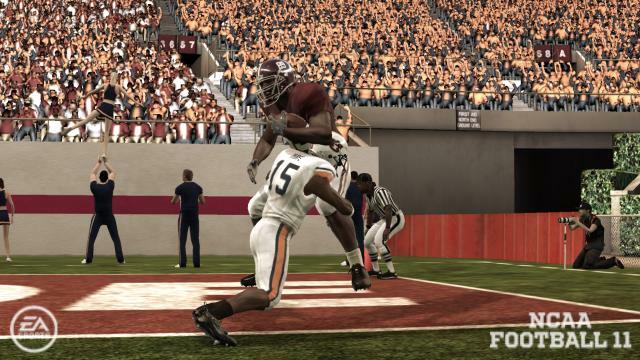 What is your favorite game mode in NCAA Football 11 and why? 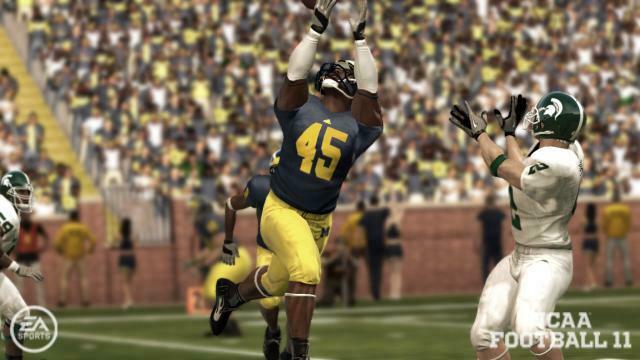 Do you prefer to play Offense or Defense in NCAA Football 11? 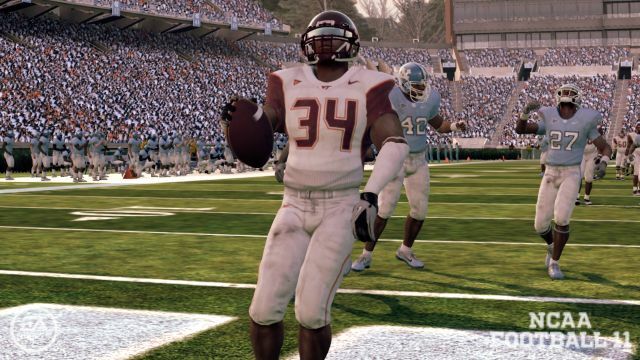 What is your favorite play to run in NCAA Football 11 and why? What is your favorite defensive formation to run in NCAA Football 11 and why? 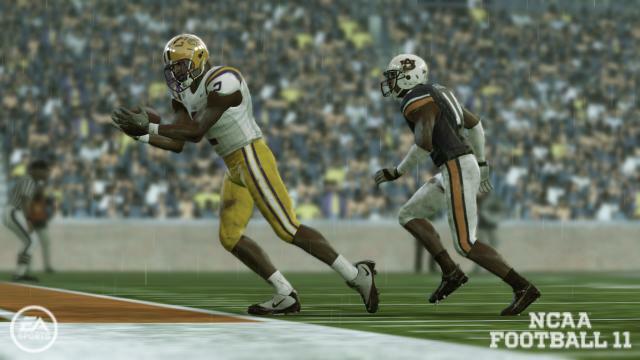 Which side of the ball is your strength in NCAA Football 11? 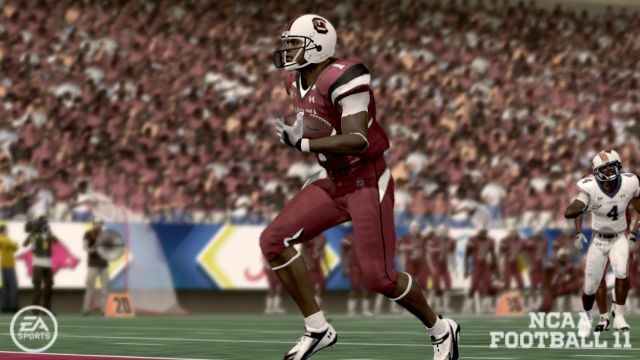 When on Offense in NCAA Football 11, do you prefer to Run or Pass the ball? 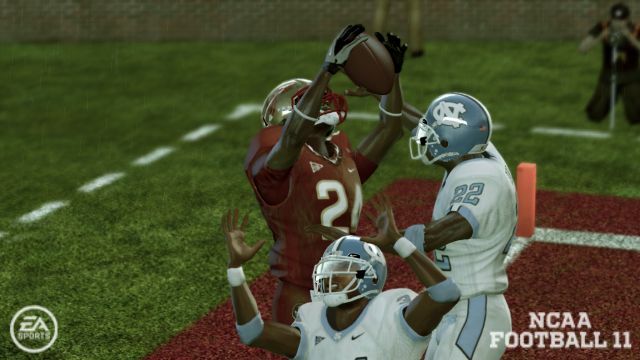 When on Defense in NCAA Football 11, which position do you prefer to play and why? On Defense, which position do you think is the most important and why? 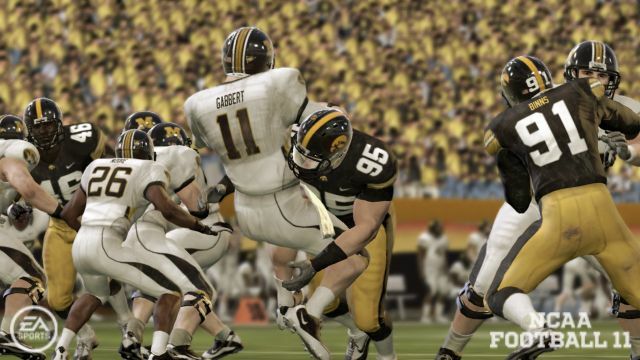 When you win the coin toss in NCAA Football 11, do you prefer to put your Offense or your Defense on the field first? 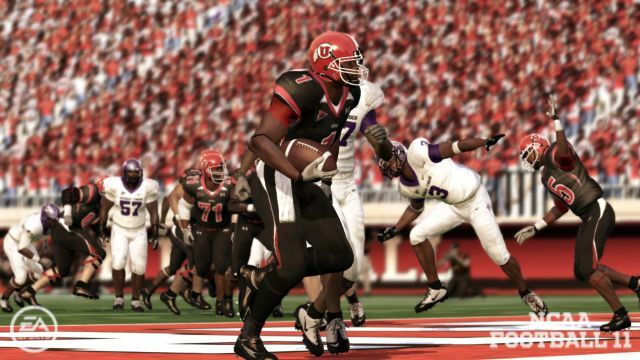 How many games of NCAA Football 11 have you played Online this year? In our first Bowl Preview Game of the Week, the drama and storylines off the field may eclipse on-the-field news. Tuesday night on OS Radio, Operation Sports' Chris Sanner & Christian McLeod welcomed Ben Haumiller, Associate Producer for NCAA Football. The SEC Championship is the focus for our latest Game of the Week as Auburn looks to secure its spot in the BCS National Championship Game while South Carolina looks to avenge a 35-27 regular season loss to the Tigers. South Carolina has started to reach the potential they thought existed when they hired Steve Spurrier as head coach in 2004. This season they won their first SEC East championship, defeated defending National Champion and #1 Alabama, and won in Gainesville for the first time. At times, Auburn has looked dominant but has also needed lots of poise as they have rallied from behind in eight games including overcoming a 13-point deficit in the first match-up against the Gamecocks. Off the field, they have also overcome the rumors and speculation surrounding the eligibility of QB Cam Newton. Will Auburn continue on their date with destiny and move one game away from being crowned Nation Champions? Or will South Carolina's breakthrough season continue with a victory and a spot in a BCS bowl? Last season, upset minded Auburn pushed Alabama to the brink before falling 26-21 to the eventual National Champions. This year, Alabama hopes to knock Auburn out of title contention by winning the Iron Bowl on Friday. The Crimson Tide have taken everyone's best shot, with six conference foes having a bye week before playing Alabama. A team that is young and inexperienced at spots still finds itself in the top 10 and with a 9-2 record. South Carolina ended their undefeated streak at 19 games in early October with a 35-21 win before the Tide fell at LSU 24-21 a month later to end any chance of repeating as National Champs. Auburn has used skill and luck as they have racked up a 11-0 record while overcoming rumors and speculation surrounding stand-out QB Cam Newton. By defeating Alabama and then South Carolina in the SEC Championship game, the Tigers will be playing for the National Championship. However, they have the toughest remaining road to Glendale among the four undefeated teams (Auburn, Boise State, Oregon, TCU). The latest Game of the Week focuses on an important Big 10 showdown in Iowa City between the Ohio State Buckeyes (9-1, 5-1) and the Iowa Hawkeyes (7-3, 4-2). Last year, Ohio State prevailed 27-24 in overtime to earn a trip to the Rose Bowl vs. Oregon and the game this season has huge implications once again. If the Buckeyes wish to extend their five-year reign as Big 10 Champions, they must prevail against an Iowa team smarting from a tough loss last week to Northwestern. With a victory, they can keep pace with Wisconsin & Michigan State, while a loss all but eliminates them. If Iowa can upset the Buckeyes, they maintain a slight outside shot at a co-championship but will need Wisconsin and Michigan State to each drop a game in the final two weeks of the season. This week on the official NCAA Football 11 Twitter account, the dev team continues to engage the community for some quick feedback, asking: "What do you like most about NCAA Football 11?" 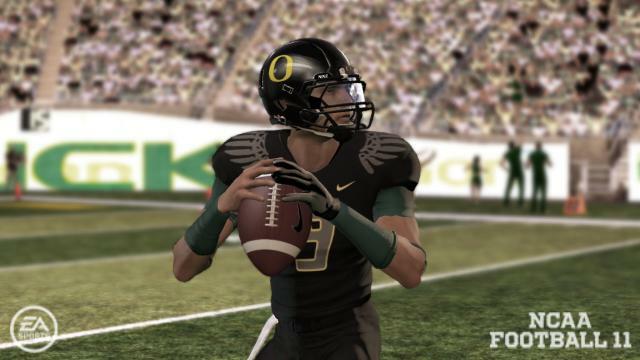 So far, community responses include Online Dynasty, Road to Glory, graphics, the Nike Pro Combat uniforms, and more. After you reply to the team on Twitter, share your responses here with the community. Our latest Game of the Week Preview focuses on two squads - Virginia Tech and North Carolina - who overcame slow starts and setbacks and emerged as power players in the ACC. After a heartbreaking loss to Boise State, the Hokies returned home and lost to FCS James Madison. Since that loss, VT has reeled off seven straight wins in looking like the national power they were predicted to be in the preseason. North Carolina went through off-the-field issues that cost them some talented players in an 0-2 start, but have since won six of their last seven games. The latest Game of the Week takes us to Salt Lake City for an important Mountain West Conference showdown that will help clear up the National Championship picture. TCU enters this match-up on a 22-game regular season winning streak and hope to stay on pace with Boise State in an attempt to play in the BCS Championship Game. Utah will be looking for their third undefeated season in the last seven years. The Horned Frogs defense has been nothing short of spectacular in the last month, allowing just 16 points in their last five games - combined. However, Utah has impressive wins versus Pittsburgh and at Iowa State and Air Force. They will be the toughest foe TCU will face in the regular season. - TCU QB Andy Dalton: The senior has been very efficient (17th nationally), but the passing attack ranks just 60th nationally. However the ground game has been superb, averaging 271 YPG, good for ninth in the country. - Utah QB Jordan Wynn: The sophomore ranks 11th nationally in pass efficiency and has helped lead their offense to rank in the top third in both rushing and passing yardage per game. This weekend, the Oregon Ducks (7-0, 4-0) - the top ranked team in the media and coaches polls - travels to Los Angeles to face the UCS Trojans (5-2, 2-2) in a Pac-10 showdown that looks to be their toughest challenge of the season to date. A year ago, Oregon routed USC in Eugene, winning 47-20 and torching the Trojans' D for 613 total yards. In an effort to try and slow down the high-powered attack of the Ducks, USC first-year defensive coordinator Monte Kiffin has had the team run live tackling drills this week for the first time since early in fall practices. The explosive Oregon offense is the best in the country, averaging 570 yards per game and 55 points per game. The Ducks have also been opportunistic as they rank first nationally with a +1.71 turnover margin. Heisman Trophy candidiate RB LaMichael James leads the nation with 162 yards per game on the ground. The week's Game of the Week Preview takes us to LSU vs. Auburn for a showdown between two undefeated 7-0 squads in which the winner will stand alone atop the SEC West. What LSU lacks in offensive firepower, they make up for in luck. The Tigers have emerged victorious in close games against North Carolina, West Virginia, Tennessee, and Florida. While the offense has struggled (92nd nationally in total offense), the defense has been spectacular (3rd nationally in total defense). LSU is led by all-around talent, Patrick Peterson. The junior from Pompano Beach, FL has been a lockdown CB on the defensive side of the ball and a threat on special teams, ranking fourth nationally in punt returns and 18th in kick returns. Auburn has also put a strain on the heart of their fans with their share of close victories against Mississippi State, Clemson, South Carolina, and Kentucky. Dual-threat QB Cam Newton leads the Tigers averaging over 300 yards of total offense, including 123 YPG on the ground. The Auburn defense allows 367 yards per game and was torched for 566 total yards in their last outing, a 65-43 comeback win versus Arkansas. NCAA Football 11 designer Russ Kiniry has posted a new blog discussing new exportable information on the Dynasty Wire website. Here we are in October, well into the football season, and we still have a bit of NCAA news for the Online Dynasty players out there. Later today when you log into www.easports.com/dynasty you'll notice a number of buttons that will allow you to export information from the site. Easily gaining access to all of the Dynasty information below was one of the biggest items requested from you, the fan, for our Dynasty web site. I'm happy to say we are delivering this feature. On paper, this Game of the Week does not appear to be special - a 5-0 Top 5 Nebraska team playing at home versus a talented, but under-performing 3-2 Texas squad. However, for fans of each team - particularly Nebraska - this game carries significant meaning. 2007: Jamal Charles runs wild to help Texas rally from a 17-9 fourth quarter deficit to prevail 28-25. 2009: Texas overcomes a Heisman-esque performance by Nebraska's Ndamukong Suh, prevailing 13-12 in a controversial finish in the Big 12 Championship Game. The Huskers offense has kicked into high gear behind the legs of rFr Qb Taylor Martinez. The unheralded recruit from California ranks fourth nationally in rush yards per game and finds himself in early Heisman Trophy consideration. The Texas defense is stout, however their offense is one of the worst of the Mack Brown era, ranking just 71st nationally in total offense. The Longhorns have lost two in a row and are looking to avoid their first three-game losing streak since the 1999 season. In the latest edition of The Gaming Tailgate's Game of the Week, we head up to Ann Arbor where the Wolverines and Spartans each enter the game at 5-0. The winner will get huge bragging rights within the state and also stay tied atop the Big Ten Standings. Michigan is led by sensational QB Denard Robinson who leads the country in rushing (181 YPG), is second in total offense, and is fourth in passing efficiency. His explosive skills have him among the early Heisman Trophy hopefuls according to StiffArmTrophy.com and he has led UM to a 3-0 record in games decided by seven points or less. The Achilles' heel for the Wolverines is clearly their defense as they rank 102nd in total defense nationally. The Spartans have rolled to an impressive 5-0 start, highlighted by their stunning overtime victory against Notre Dame and a win over Wisconsin. Not to be outdone by Robinson, MSU QB Kirk Cousins ranks 13th nationally in passing efficiency. The defense has been solid, led by superb linebackers Greg Jones and Eric Gordon. Our latest Game of the Week finds us in Eugene for a battle between Top Ten teams - Stanford vs. Oregon. Stanford is led by Andrew Luck, considered by many (outside of Bristol, CT) to be the top QB prospect in the country. The Cardinal have rolled through the season with impressive wins versus UCLA, Wake Forest, and Notre Dame. Balance has been the key for Jim Harbaugh's team as they average 223 yards per game on the ground and 234 yards through the air. The Ducks enter this match-up as one of the top offenses in the country. With their dangerous spread attack, Oregon ranks 3rd nationally in rushing (321 YPG), 3rd in total offense (560 YPG), and first in scoring offense (58 PPG). They have been aided by an opportunistic defense that leads the nation in turnover margin and a pass efficiency defense that ranks second nationally. The defense has been aided by three big wins, but in their last game versus Arizona State, ASU racked up 597 yards of total offense only to be undone by four interceptions. Who will win this Top Ten showdown? Will the winner go on to win the Pac-10 and contend for the National Championship? Will there even be a punt in this game? Each year, NCAA Football playbook designer Anthony White strives to make each team's playbook accurately represent their system and play style. While we saw NCAA Football 11 add a true no-huddle system and up-tempo play, what you may not know is how detailed some team playbooks really are. Leading up to the release of NCAA Football each year, Anthony adds in actual plays run by teams that can only be found in their specific playbooks. In recent years two game-defining unforgettable plays came from the FBS programs in Idaho - Boise State's Statue of Liberty play to defeat Oklahoma in the 2007 Fiesta Bowl and Idaho's 2-point conversion to win the 2009 Roady's Humanitarian Bowl over Bowling Green - and both of them can be found in NCAA Football 11. Thanks to playbook guru Anthony White, NCAA Football fans now have the full list of Team Specific Plays in NCAA Football 11. Are there any unique plays that your school is known for running and you would like to see in the game? Of the Team Specific Plays in the game, which ones are your favorites to use?